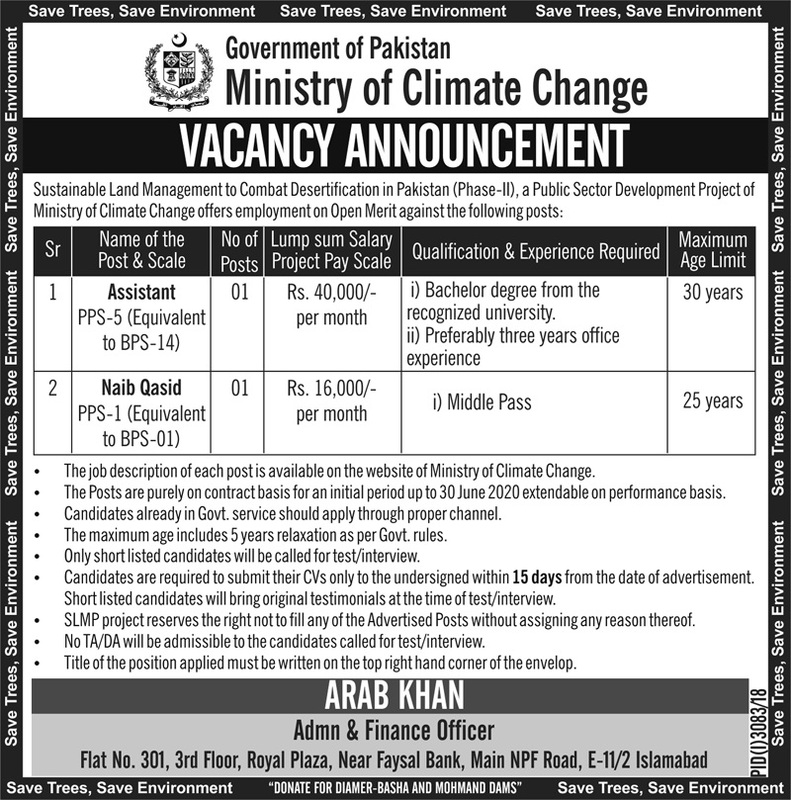 Below are the complete details of the Naib Qasid jobs in Ministry Of Climate Change in Islamabad. Skills Required for Job: Listening, Speaking & writing & analytical & problem solving skill. Primary Level Education. Knowledge of office and management techniques. Good interaction abilities and professional personal display. Knowledge of customer service methods and concepts. 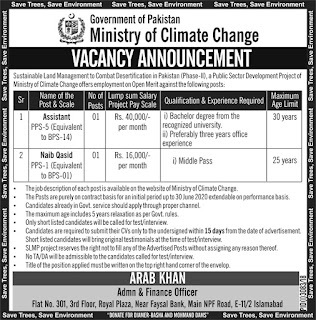 Qualification: Naib Qasid Required at Ministry Of Climate Change Islamabad,Applicants Should Have relevant Experience, Interested Candidates Will be Given Attractive Salary. Naib Qasid jobs in Ministry Of Climate Change Islamabad, in Pakistan published on Paperpk.com from newspaper on January 08,2019. Job seekers who are already working as peon , chokidar , servent , office boy , tea boy, watchman can also apply for post of Naib Qasid.